Earlier this week, one of the U.K.’s leading craft beer distributors, importers, and retailers unexpectedly announced it was going into administration, a form of insolvency when a company can’t pay its debts. The Bottle Shop, which was founded by Andrew Morgan in 2010, had grown from a small stall at a farmers market in Canterbury, Kent to an influential player in the U.K. scene. A distributor for high-profile domestic breweries like The Kernel and Burning Sky, The Bottle Shop also worked with international names that included Omnipollo and Modern Times. At the time of its announcement this week, it maintained bars in London, Canterbury, and Margate; a London warehouse; and a team of 12 full-time and 16 part-time staff members, as well as two contractors. Although The Bottle Shop launched a successful crowdfunding campaign in 2017 (during which it claimed to have £1 million [$1.3 million] in annual turnover growth, and plans to open three new shops), unforeseen challenges arose soon after, and eventually proved insurmountable. “It might be a coincidence, but I firmly believe that our mission to provide refrigerated, fresh beer was an inconvenience to them when they’d committed to ambient distribution for commercial gain,” he adds. An anonymous former employee, however, cites the “major supplier” as Beavertown (Morgan seemed to harbor deep feelings of betrayal following Beavertown’s minority sale to Heineken) and the latter as Mikkeller (which, they speculate, left The Bottle Shop for U.K. importer Euroboozer with “no notice at all” in order to gain access to Euroboozer’s supermarket listings). Last week, Omnipollo—formerly a Bottle Shop exclusive—switched to Cave Direct for its U.K. distribution. “There are more breweries competing for business than ever, and it only takes a few decisions out of your control, like a brewery leaving your distribution and a failure to adapt to market trends, that can send things spiralling very quickly,” the former employee says. These actions clearly played a big part in The Bottle Shop’s closure. 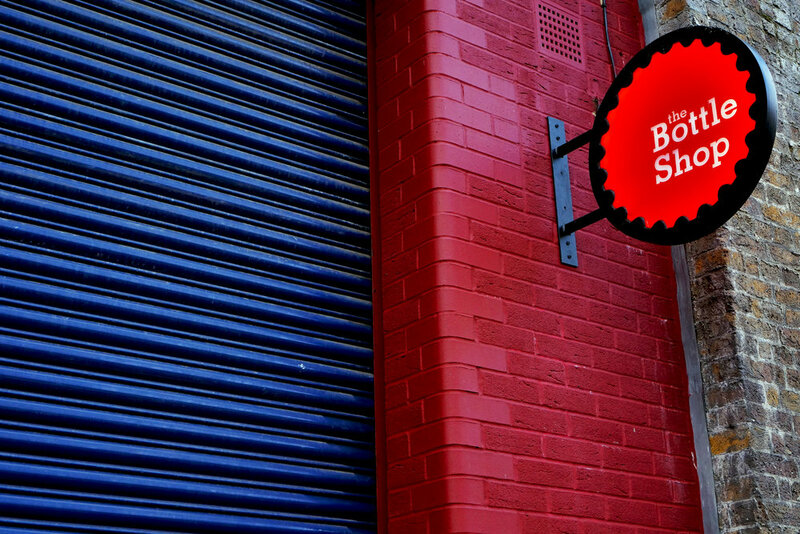 It was the second crowdfunded U.K. craft beer retailer to go out of business in the past week, with The Beer Boutique, a seven-year-old company with three retail outlets, announcing its closure on March 20. Based on those two examples, it’s tempting to draw varied and varyingly compelling conclusions about the questionable merits of crowdsourced capital, the U.K.’s Brexit-era economic uncertainty, and the industry’s heightened competition and increasingly thin margins. Many, however, point to The Bottle Shop’s idiosyncratic ethos as a key factor in its undoing. London-based journalist Glynn Davis—a close friend of Morgan’s who runs the website on which the closure announcement was first published—notes that the distributor often focused on areas that aligned with personal passion rather than pragmatism. At its peak in November 2018, The Bottle Shop distributed more than 60 breweries and claimed an annual turnover of £3.5 million [$4.6 million]. While significantly smaller than competing distributors and importers like James Clay and Cave Direct (the former employs approximately 55 employees and has an annual total revenue of £23 million [$30.4 million], and the latter employs about 75 employees and has an annual total revenue of £20 million [$26.4 million]), The Bottle Shop has long positioned its international reach and “commitment to freshness” as distinguishing traits that set it apart. That focus meant that hyped releases by U.S. breweries like Interboro, Finback, and KCBC could be enjoyed fresh in the U.K. But that privilege came at a literal cost. A former Bottle Shop employee says the high price points of U.S. imports were a stumbling block for the business, particularly when coupled with shifting consumer demands. Some of The Bottle Shop’s slowest-moving stock, they said, came from overseas breweries like Green Flash, Alpine, Ironfire, and Black Market. Phill Palgrave-Elliott, co-founder of North London bottle shop Caps and Taps, echoed those comments. Morgan himself sees cold chain as a factor in The Bottle Shop’s demise, saying that it “was probably the undoing of the business.” He also places the blame on growth-hungry breweries whose priorities have shifted toward more widespread distribution. “We lost more breweries who chose commercially compromised growth paths than those we added who cared about refrigerated quality,” he tells GBH. While competing distributors will look to acquire The Bottle Shop’s spoils, and larger breweries will have the means to weather this particular storm, many smaller breweries will likely find themselves low on cash and mired in dangerous uncertainty due to the unpaid debts owed by the company. The Bottle Shop was the only distributor for Bohem Brewery, a small, North London business co-owned by Glynn Davis, the editor of Beer Insider and Morgan’s friend. Mark Tranter, Burning Sky’s founder, confirmed that his brewery was also owed money. Now, The Bottle Shop’s assets remain to be dealt with, including its beer-packed warehouse. Morgan says he has three weeks until a buyer will be assigned to his company. “The best-case scenario is that the venues reopen as if nothing has happened, except behind the scenes we’ll have a partner who wants to help us achieve the unfinished business of putting quality at the top of the agenda,” he says. The likelihood of that best-case scenario is not currently clear. Unless, as Morgan puts it, “several prospective offers that could do a Lazarus on things” come through, it could spell the end for a significant industry presence, and U.K. drinkers will likely have a narrower selection of international offerings available to them. “So, what for 2019? What’s going to happen next? Well, Brexit looms large and it’s impossible not to feel that things are going to get harder rather than easier,” Morgan wrote in a blog post on January 4. His words were more prescient than he may have realized at the time.